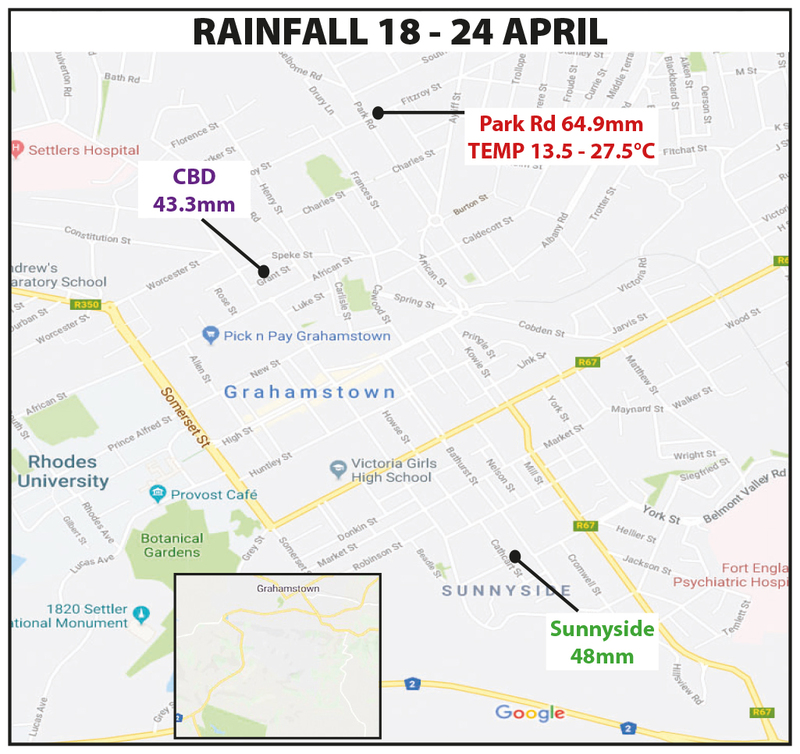 In the midst of a water crisis in Makhanda (Grahamstown), a group of enterprising young students at Mary Waters Secondary School have taken it upon themselves to provide their school with a rainwater tank. 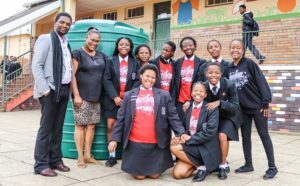 On the morning of Tuesday 12 February, students, along with Enke Make Your Mark, a youth development organisation based in Johannesburg, and Ikamva Youth, handed over a 2500-litre water tank at the school. Mary Waters is one of the many schools in and around Makhanda that have been suffering as a result of prolonged water shortages in the Eastern Cape. The lack of water at the school has placed a great strain on staff and students who are struggling to get water to simply flush toilets. At the time of the event, municipal water trucks arrived at the school. Dozens of students and staff flocked to the truck with buckets and cooking pots, filling up whatever they could for the school’s use. The school has four sets of toilets, which are currently being rotated so that students can use them while the others fill with water. Monday was the first day that the school had to send students home early, as a number of students were complaining of stomach problems. Without water, the school will have to close early again. However, the students involved with Enke and Ikamva have brought their school and community hope in the form of the tank, as well as the promise of a second tank if they can raise enough funding by the end of February. 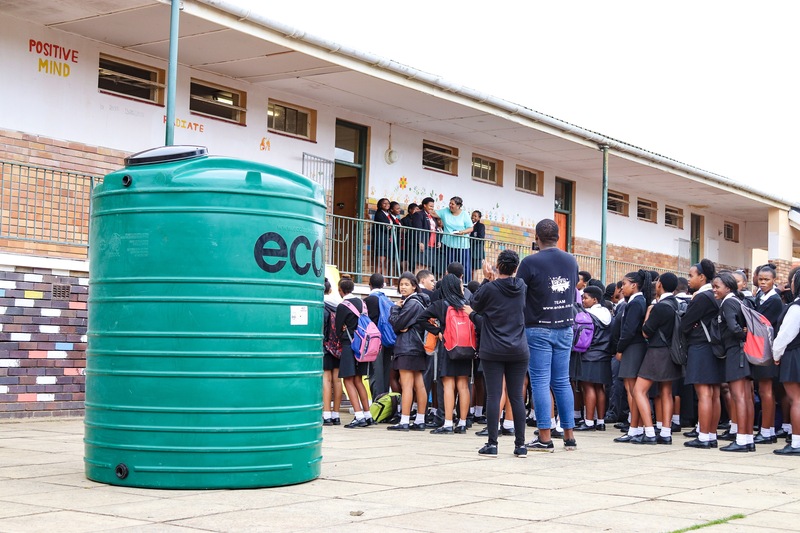 After the success of their first CAP, the students decided that the tank would be the best way to give back to the school, they then organised with Enke to deliver the tank in under a week. “This was so unexpected, because I was not aware of the initiative,” said Faith Coetzee, Principal of Mary Waters. 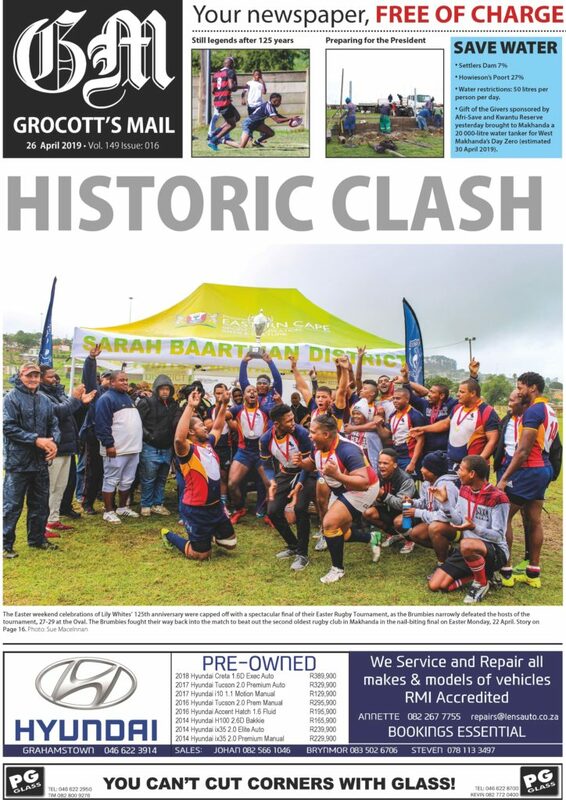 “Working with kids who have come up with the initiative on their own, for their school not just for themselves, really means a lot,” said Lungisa Klaas, from the Ikamva Youth Project. This is only the start for the students, as they look to better their school and community through their work with Ikamva and Enke. “Enke has promised that if we are able to come up with R1500, they will be able to top it up so that we can be able to buy a 5000-litre tank as well,” said Klaas. From Makhanda, the team from Enke will travel to Durban to deliver the funding and supplies needed for the schools that are part of the Enke programme in KwaZulu Natal to build libraries. **Since first publication on Tuesday, a number of people have come forward to offer their assistance in raising the additional funds for the second tank.